Hazelbury Manor dates back to the 14th century and was enlarged over the centuries. 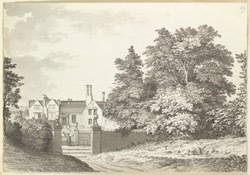 The Speke family purchased the property in the early 17th century and a century later it passed to the Northey family. By this time the grounds had become quite extensive and covered an area of over 180 acres.